Mailbox Monday is on tour, with August’s location being at Life in the Thumb. The year is 1799. As Bonaparte’s army descends upon Israel, intent upon conquest, Ethan Gage finds himself embroiled in an ancient mystery in the Holy Land, searching for a legendary Egyptian scroll imbued with awesome powers. The courageous and resourceful Gage must keep the mysterious document from his enemy, Napolen – or, failing that, wrest it from him, even if it means pursuing his vengeful adversary back to France. And the wisdom of his great mentor, Benjamin Franklin, will offer Gage no solace should Bonaparte succeed in unlocking the terrible secrets of the Book of Thoth – for whoever masters its magic will rule the world. No longer willing to wait for the international community to stop its neighboring enemy, Israel brings down Iran’s billion-dollar nuclear program in an ingeniously conceived operation. The attack leaves a radioactive tomb and environmental disaster in its wake, and has Iranian president Amatullah calling for blood – American blood. Seeing opportunity where others fear reprisals, Mitch Rapp devises a brilliant plan to humiliate Iran’s government and push the nation to the brink of revolution. 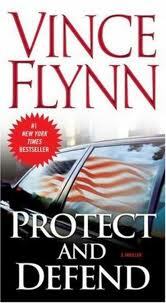 But when a back-channel meeting between CIA director Irene Kennedy and her Iranian counterpart goes disastrously wrong, Rapp is locked in a showdown with a Hezbollah mastermind in league with Amatullah – and he is given twenty-four hours to do whatever it takes sto stop unthinkable catastrophe.